Google today simplified the process of managing monthly bills for subscribers to its Project Fi wireless service. 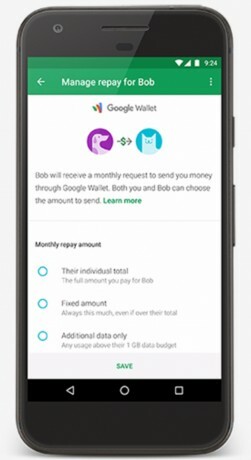 Starting this week, Project Fi gains a new tool that helps the account manager easily determine what each member of the plan owes and send them a bill. Google says once the feature is enabled, Project Fi can automatically calculate the cost for each individual line. The service supports payment reminders, which it will send to each individual line. Further, Project Fi can accept payments through Google Wallet. Project Fi users need only tap the payment notification they may have received and follow simple steps to send their payment to the account manager. Owners can then cash out the payments to the debit card or bank account of their choice. Google says this new tool is rolling out to all Project Fi subscribers this week. Project Fi is available only to select handsets, including the Nexus 5x and Nexus 6p, and Google Pixel and Pixel XL. Google today released a major update to the Google Pay app and service. Google Pay now supports one-time tickets with QR codes, such as airline boarding passes and concert tickets. Apple today showed off iOS 10, what it calls the biggest release of iOS ever for both end users and developers. To start, the platform changes up the lock screen, making it easier to access the camera, notifications, Control Center, and widgets. Google today made good on its promise back in May to release a tool for improving online and in-app payments. Pay with Google allows people to pay with any card on file, including the card they might have associated with Android Pay, Google Play, YouTube, or Chrome.